MACON, Ill. – Open wheel racing stars converge on Macon Speedway Saturday for an extravaganza of speed and bravery when the POWRi Midgets run double features to highlight a program that also includes POWRi Outlaw Micros and racing in four other classes. The wildly popular POWRi series has yet to take the checkered flag at legendary Macon Speedway this season because of weather issues, so race fans and teams are anxious to arrive at the famed facility for some classic short-track racing. With POWRI also running at Lincoln Speedway Friday and the Tony Bettenhausen 100 for USAC Silver Crown cars at the Illinois State Fairgrounds Mile track, open wheel aces will descend on Central Illinois for all-star shows. In addition, the full throttle weekend includes the Central Illinois SuperChevyStores.com 100 for ARCA stock cars at the Illinois State Fair Sunday. POWRi draws race teams from the Midwest as the series travels through five states. The equipment and talent level of the drivers are unmatched. Built especially for midget racing in the 1940s, Macon Speedway is a favorite among midget drivers, who pull slide jobs on nearly every corner. POWRi star Chris Bell tweeted earlier this year Macon Speedway is his favorite track. So get ready for some great racing on the historic track. Beach House Mini-Sprints will challenge the POWRi Outlaw Micros, and the winged mini-sprints always put on an amazing show. With Billingsley Towing Modifieds, Street Stocks, Outlaw Hornets and Stock Hornets also racing, the Macon Speedway pits will likely reach overflow capacity. It’s a great night to buy a pit pass to get up close and personal with the POWRi stars and some amazing machinery. Gates open at 5 p.m. with racing at 7. At Lincoln Speedway Friday, POWRi Midgets and Outlaw Micros highlighted the program that also includes pro late models and modifieds. Gates open at 5 p.m. with racing at 7. 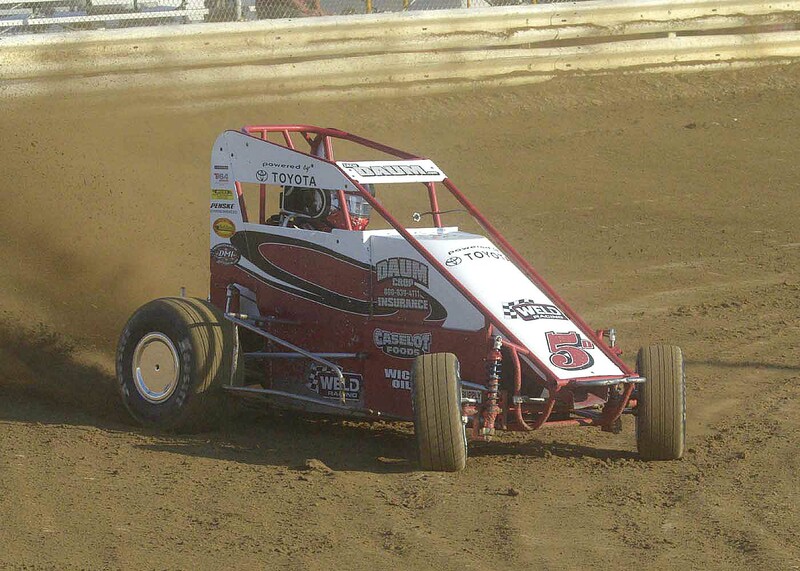 The quarter-mile track is great for the POWRi cars. On Saturday, the Tony Bettenhausen 100 takes the green flag in a historic race on the mile dirt track at the Illinois State Fairgrounds. USAC Silver Crown cars thunder down the straightaways and slide through the corners. Galesburg resident A.J. Fike goes for a three-peat on the Springfield Mile after dominating last season. The biggest car count in years is expected for the USAC counts with more than 30 likely to arrive in the pits. Silver Crown practice starts at 9 a.m. with qualifying at 10:25 and the feature set at 2 p.m. Sportsman Nationals heat races are set to go at 11 a.m.